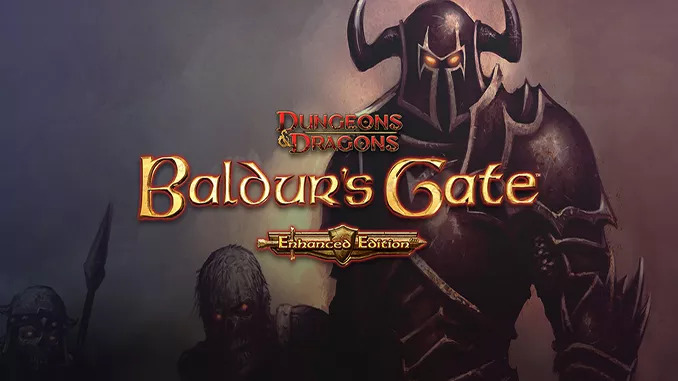 Since its initial release in 1998, Baldur’s Gate has entertained millions of fans around the globe and has received countless awards. This classic saga of mystery, intrigue, and adventure has set the standard for Dungeons & Dragons™ computer roleplaying games ever since. Running on an upgraded and improved version of the Infinity Engine, Baldur’s Gate: Enhanced Edition™ includes the entire Baldur’s Gate adventure, the Tales of the Sword Coast expansion pack, and never-before-seen content including a new adventure and three new party members: the Calishite monk Rasaad yn Bashir, Neera the wild mage, and Dorn Il-Khan, the evil blackguard. Windows XP / Vista / 7 / 8 / 10, Processor: 1 GHZ, Memory: 512 MB RAM, Graphics: OpenGL 2.0 compatible, Hard Drive: 2.17 GB HD space, Sound: Windows Compatible. Will this be the most recent update? Thank you. It worked perfectly. Lost my original copy to this fantastic game. At some point could we get Siege of Dragonspear at some point? Can you continue with BG 2 using your character from BG 1? After you have defeated BG1:EE (Enhanced Edition) the game automatically creates a folder named “0000x -Final Save” in your saved games folder (usually in Documents). Now copy the entire “Final Save” folder into your BG2:EE save games folder. You should get the ability to choose that character during BG2:EE startup. Warning: Download redirects to adware, can be difficult to get rid of. Hi, im surprised that this webpage is THAT GOOD. TY and sorry for having doubts at first. Any chance you can update this to v2.5? Any news about this? 2.5 has been released. you can update this to v2.5?